Edited by Negative Syndicate, 26 July 2018 - 03:01 PM. We definitely should be talkin about this manga more. The most recent chapters hav been amazing. The hype is skyrocketing. I’ve been gone for a while but I’ve come back to see if people jumped on this manga yet. I feel like it has massive potential. Chapter 52 is out. Overall it’s not bad. Felt a little quick to be honest. Gojou snapped in this chapter. Practically solo’d everything. At this point it seems like Gojou really doesn’t have an opponent that can match him. yea he’s way stronger then every other character ita crazy. But i feel like the death flag for him has been flagged. I mean Chainsaw Man is new so of course people are checking it out to see if its good or not. 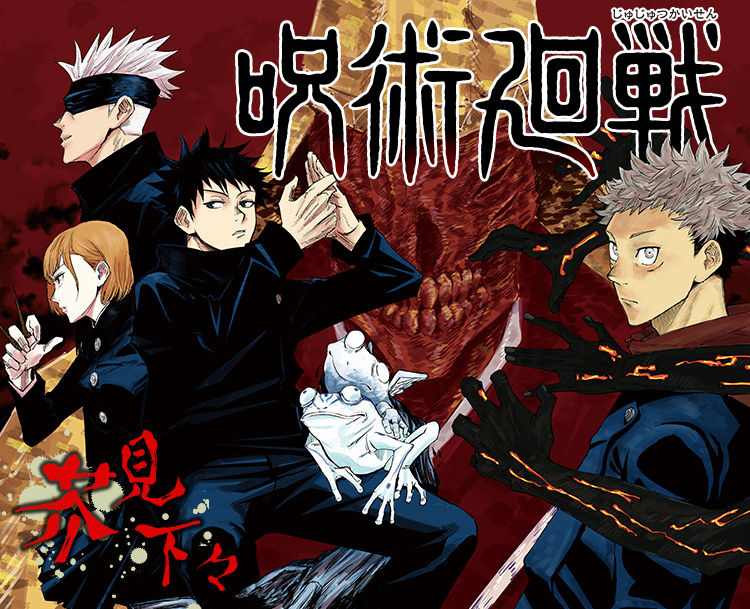 Jujutsu Kaisen has been out for a while longer & is already selling volumes at near 100K copies so its already doing quite well for itself. It doesn't really matter which is better. Edited by Slimcoder, 26 March 2019 - 08:12 PM. i get that but its still hard to see places like the sub forums on reddit have way more subscribers for chainsawman then JJK. Just cause it’s newer doesn’t account for that. Edited by PunkHazard, 27 March 2019 - 10:45 AM. This manga is going to be big. Sales are doing great and it’s right around the corner from chapter 80. A lot of people seem to think that when they’ll start to animate it. Some are worried Pierrot will get the rights but I’m too worried about that. If they do decided to pick it up, it’s likely because they see the similarities with Naruto. agreed. For some reason chainsaw man gets way more attention but I think JJK id just as good if not better yea he’s way stronger then every other character ita crazy. But i feel like the death flag for him has been flagged.